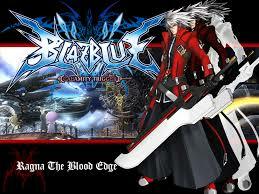 In the Blazblue Series, Ragna the bloodedge features as the main character. He is also referred to as the Grim Reaper. He is feared by the NOL because he rebelled against them in the Ikaruga Civil War. As such, they see him as a very powerful individual. As such, he becomes the most wanted criminal of all time by the NOL. This is because he destroyed a large number NOL'S branches. 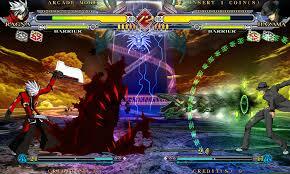 Ragna is an anime character and owns a great form of ars magus known as Azure Grimoire. In other words, it is known as the titular Blazblue. This usually serves as a primary or secondary target of individuals that are after him and his bounty. Ragna's main objective is to destroy NOL because they are responsible for the destruction of his family. Jin Kisaragi is his biological brother whose rivalry rises after the death of their sister, Saya. Ragna has a mechanical right arm because Terumi cut off his real arm. His Blazblue is just a fragment of imitation. The real Blazblue is meant to be owned by Noel Vermillion. Before Ragna left, he was given a red jacket and sword by Jubei. These items belonged to Bloodedge, an obscure warrior who fought the Black Beast so as to protect humankind in order the ars magus technology can be developed by the six heroes. Since Jubei saw Bloodedge as a true friend and a hero, he gave Ragna the title because he saw a great potential in him. As such, that is how the handle 'bloodedge' came by. As the Continuum shift event begins, Ragna takes Noel into his care and begins to care for her much more than he ever did to Saya, his sister. In Chrono Phantasma, he seizes to rely on Azure Grimoire.